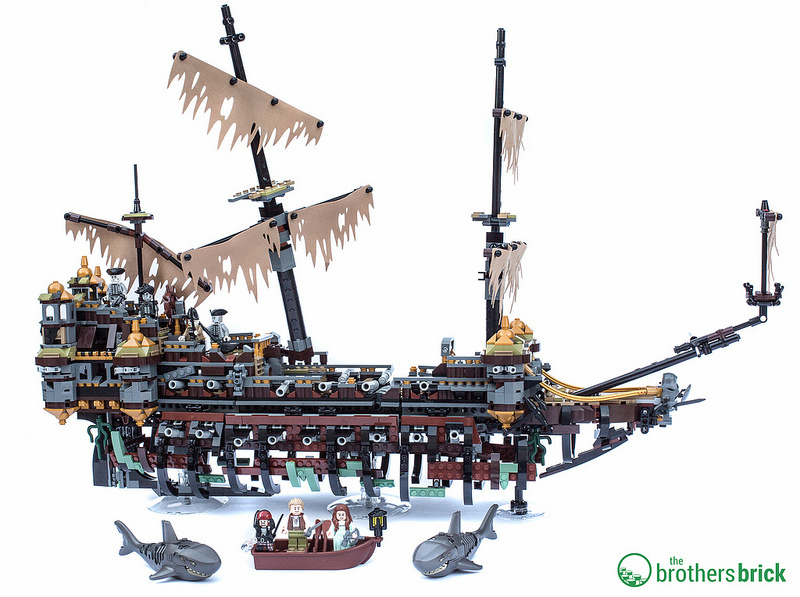 Coming in at number 10, Destiny’s Bounty has always been a sure hit in our minds. There are a few themes it’s difficult to go wrong with — modular buildings is one, and large ships are another. 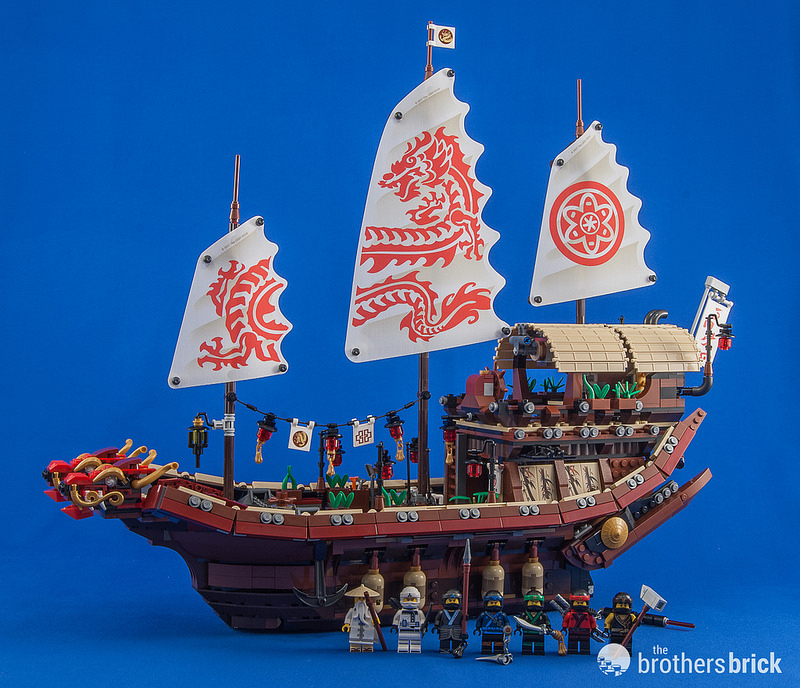 Massive, detailed boats never fail to have a loyal fanbase, this one modeled after a Chinese Junk is certainly one to have on your shelves to admire together with the other pirate ships in your trove of treasures. Retails for $159.99 on the LEGO Shop Online or Amazon. This fan-designed set broke expectations after many fans speculated that it would never make it to shelves because of its sheer piece count. There was a short debate on whether this would fit into the modular theme, but one look at it would tell us that this is a unique one-off. It is an excellent choice for fans who enjoy intricate structures, and it certainly did pay off in terms of popularity. Retails for $149.99 on the LEGO Shop Online or Amazon. 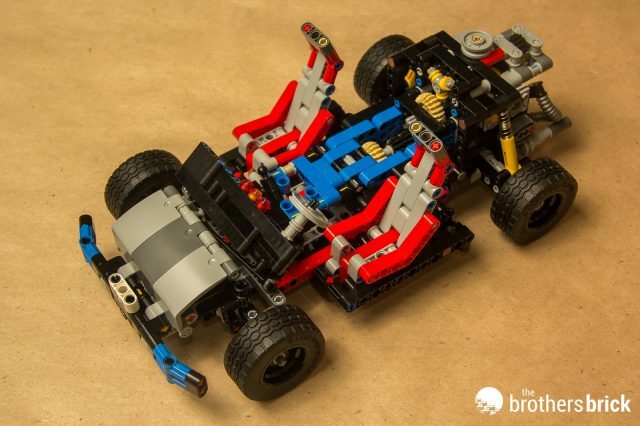 While not exactly a new set release, this build shows how loyal LEGO fans can be, and specifically, LEGO Technic fans. And LEGO has rewarded them with this cool piece of nostalgia, releasing four sets which combined allows an alternate build of the classic chassis from the 80s. It’s a unique reminder of how parts from sets can and should be used for other builds. 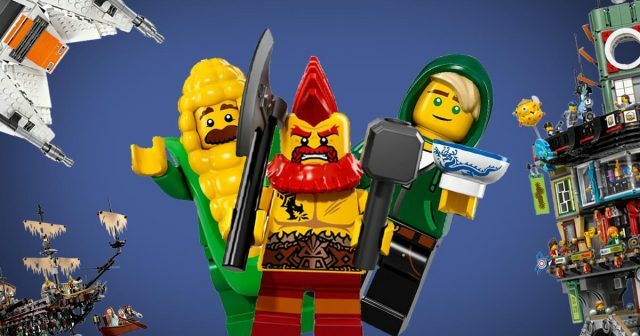 Although The LEGO Ninjago Movie wasn’t quite the rousing success of The LEGO Movie in the box office, one thing is for sure, minifigures can hold their weight when it comes to popularity. 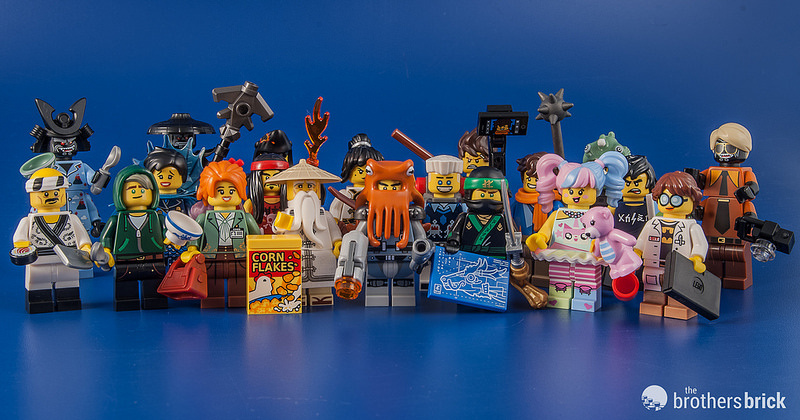 Including new elements such as the orange scarf or the hoodie element, these Collectible Minifigures were always going to be a hit with scene builders or fans looking to accessorize their figures. Available on Amazon or Bricklink. A few ingredients that make a sure winner are the UCS (Ultimate Collector Series) moniker, a Star Wars logo, and a big vehicle. Check all three, and you’ll see bricks flying off the shelves. 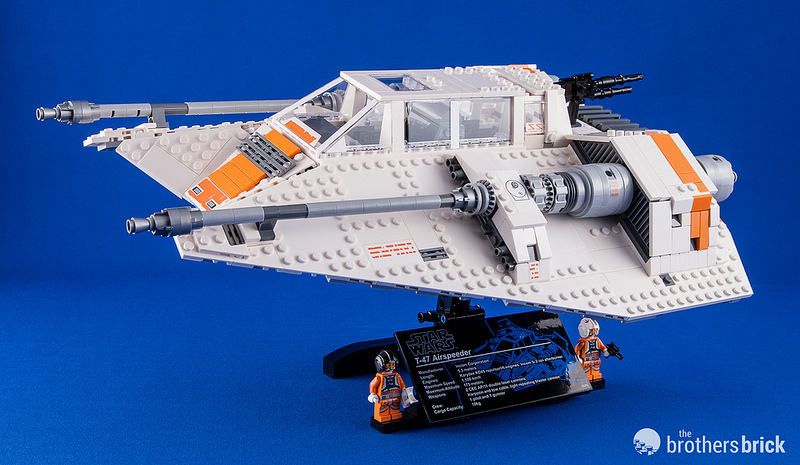 The Snowspeeder meets all those criteria and is a classic vehicle re-released that pleased many fans that missed the original. Fans that already owned the original flocked to this for the updated and improved design. Retails for $199.99 on the LEGO Shop Online or Amazon. 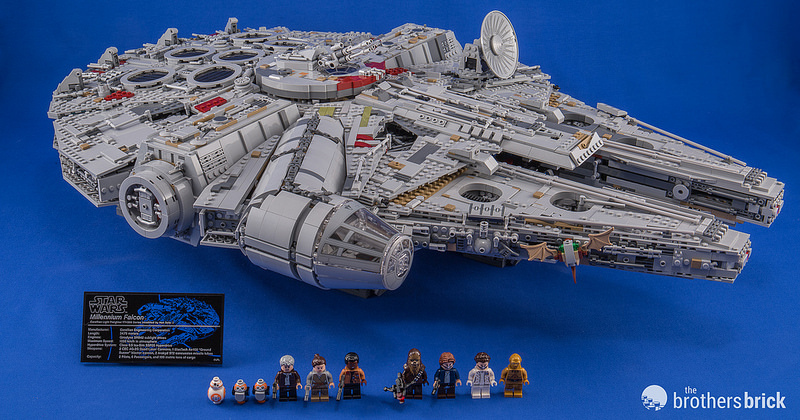 Taking that same formula of UCS + Star Wars + Vehicle, we have the long-awaited holy grail. We held our breaths for nearly 10 years since the original version of this was discontinued and prices skyrocketed. We waited through the rumors of a new version which seemed to surface every time a butterfly flapped its wings in jungles of the Amazon, but finally the most beloved vehicle in the whole wide universe (ok, fanboy here), the one and only, Millennium Falcon arrived. I need not say more. This release came as a surprise when it turned out to be the third largest set ever released by LEGO. 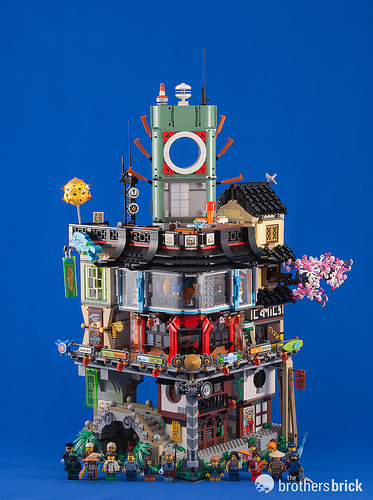 Full of detail and hidden surprises in its intricate build, Ninjago City just proves again that while the stories do play an important role, great designs and sheer scale matters a lot in how fans react, and validates how the playability factor of a set does matter. Just like Destiny’s Bounty, another sure hit is the large ship Silent Mary. Albeit an ‘incomplete’-looking ship, but the excellent execution of this build together with its unique and dark theme makes it a standout. Plus, the fascinating transformation of being able to swallow another ship makes it quite the interesting build. If there’s ever a set that you could call an underdog, I think this would be the one. 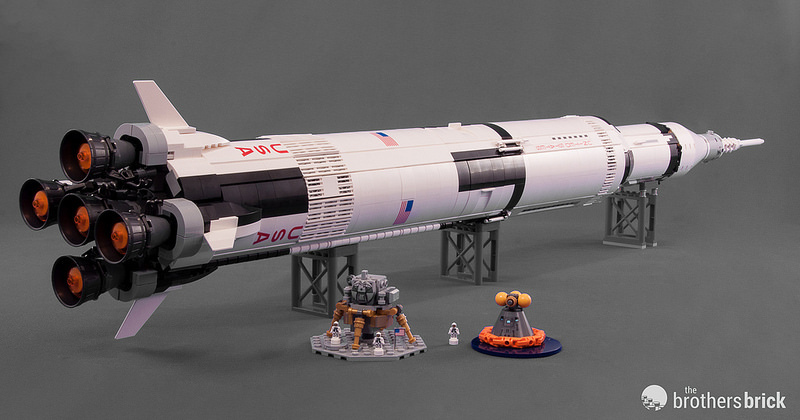 From its unlikely inception as a ridiculously huge fan-designed model on LEGO Ideas, it was hard to foresee the power it would have when it hit store shelves. The Saturn V took off like a rocket and headed for the moon, quickly running to backorder in most stores. The build techniques are touted as both revolutionary and ingenious. And the best part? It’s a very reasonable cost for a set this size. If you don’t already own one, you won’t want to miss this set. Retails for $119.99 on the LEGO Shop Online or Amazon. And finally, our most viewed review of the year. The Collectible Minifigure Series of 2017 that’s not movie related turns out to be the biggest hit of all! 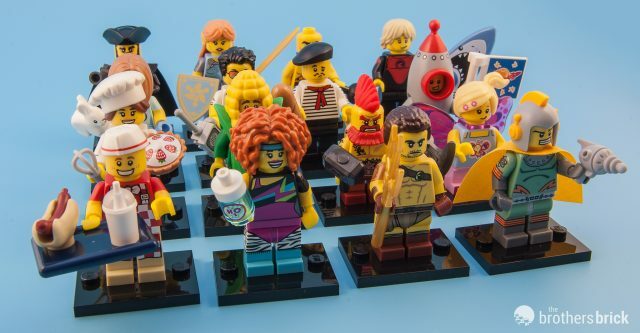 This yet again proves the appeal of the minifigure is universal, and while we hate to say it, that gimmick of the mystery figure probably drummed up the hype even further. Nevertheless, this is an excellent series with lots of characters to love. So there you have it, our Top 10 most viewed Reviews on The Brothers Brick. Let us know in the comments which reviews you enjoyed the most, and what you’re most looking forward to seeing us review in 2018! 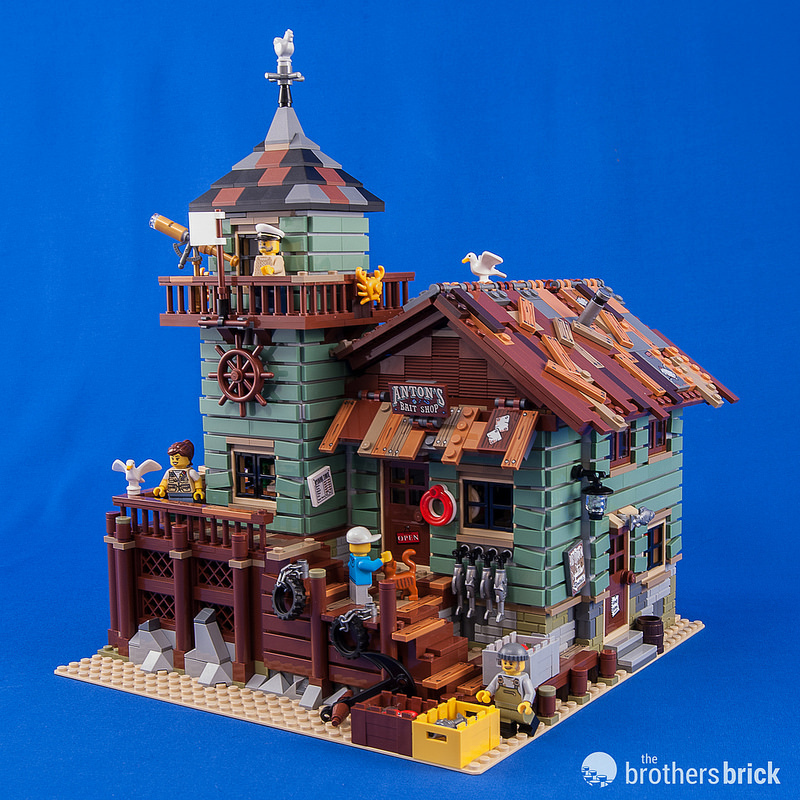 Got a few of these sets, Ninjago City, Old Fishing Store, Saturn V. All amazing builds and all standing out in different ways, size, intricacy, historical significance. Lookin for 2018 now, with the rumored Ninjago City Docks Modular (Brickset), the Ideas Ship in a Bottle and who knows what else. Not a fan of Brickheads, so probably no seasonal s this year, yet who knows. I’m quite surprised Ninjago City didn’t make #1, I must have clicked that link 50 times just by myself. That or Saturn V!